One of Thomas William Furniture's newest pieces. 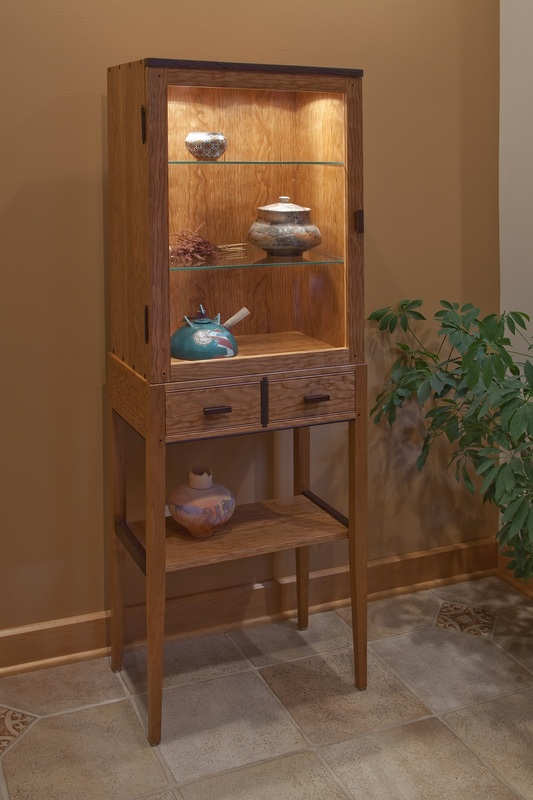 The Tall Cherry Display Cabinet, with lighting, is a fine crafted piece made of solid wood construction. 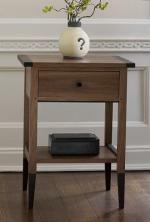 Tall and sturdy, it will display your collectibles with pride and lift up the design and style in your home. This beautiful piece is lovingly crafted by hand in the Midwest. It is made with Pennsylvania Cherry with Wenge accents. The natural color of the Cherry and Wenge is enhanced by the durable lacquer finish that is applied for long lasting beauty. Stains are not used. Hinges are high-tech and smooth with a matte finish and the pulls are handmade of Wenge.